The Medieval Barbute Combat Helmet takes its shape from 15th century Italian design. 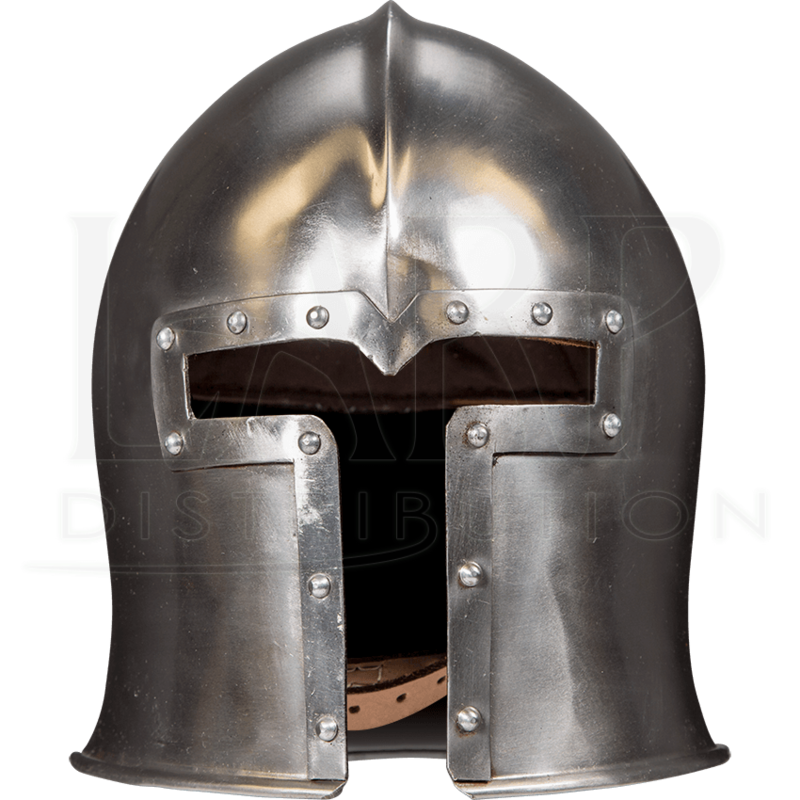 This medieval soldiers helmet features a short ridge across the top of the head and comes in both 16 gauge steel and 18 gauge steel options. This medieval helm is characterized by its T-shaped opening in the front for visibility of the wearer and unrestricted ventilation. The sides of the visorless steel helmet sit close to the cheek for protection, and the back of the bottom edge flares out slightly. Inside, this steel barbuta is padded with an adjustable cotton canvas liner. A buckled leather chin strap secures the helm in place. 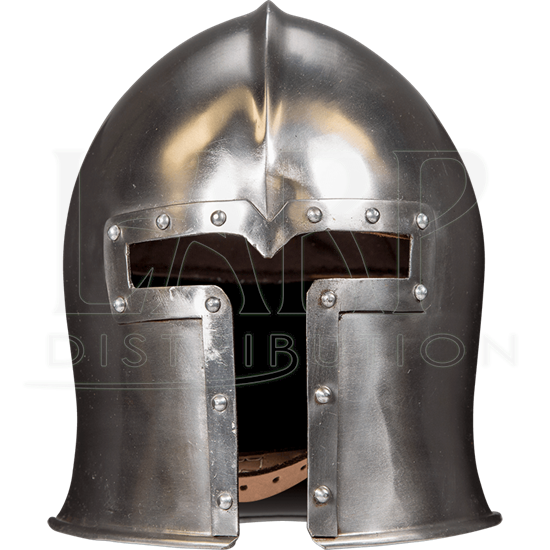 Its polished finish is great for creating a shining armoured look for LARP, reenactment, or costume use.